3. Please describe your knowledge of Star Wars? The more detailed the better, please: Well, I have been hooked up on Star Wars since I was a child, about 13 years now. I have all the movies of course, most of the games like both KOTOR's, Battlefront's, Galaxies, Empire at War. I also have many many books and comics, too many to read. So I would say I have fair knowledge about Star Wars universe and I can easily look up if something is needed. to leave. If you have used more than one name, please list them all. 5. What type of role do you wish to take within the guild? How do you plan to be active? Please be specific. Well, as I believe I have fair share of lore, I could be teacher/historian though I'd like front line leader job much more. Military life is more familiar to me as I have experience in this field in real life. I also love RP, so organizing anything wouldn't kill me and participating in RP events has always interested me. 6. Why do you feel the Army of Light is a good fit for you? Because Army of Light is the best. I was a member back in the old forums, but then schoolwork took over me, which is fortunately over now. People were very helpful and cool around here. Though we did not play the game, sitting in the chat was very fun. Also, I love the advancing and learning system of the guild. Makes the game feel more real. 7. What do you expect of the guild? Please be specific. To have as much as fun as possible. I'm not really into much competing, I'd just like to sit down, look at the world, it's beauty and have fun with other members. It's quite boring to play the game alone. So I expect friendly environment in which I can have good time. That's really it. 8. Age* (Must be 16+): 19, getting 20 this year. 9. Time Zone: GMT +2 Estonia. participate in, what you are looking for, etc. I have participated in many RP games. Like in TWC forums, a forum for Total War game series. We had fictive characters, places, money, plots, wars, everything. Back then I was a Commander of Swedish-Finnish army unit fighting in Finland. 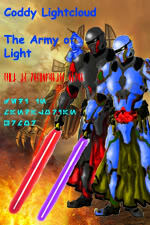 Last time I was in Army of Light, I also participated in RP games. I mostly like fighting RP-s and internal problems situations. Like :"Sith are attacking this remote outpost, we have to defend the civilians even if our lives are at risk". Who doesn't like fighting against greater odds? And of course I like plots. What I mean by that is like Ep I, II and III problems like that a Sith Lord has returned and rumored to be in the senate, the Jedi are not ready to fight this new war, what are the real motives, who's behind everything. It's much more real-like and serious. Yoda faced far too many problems during Clone Wars because of internal dissent, renegade Jedis and of course, the senate. Even now I am questioning the true motives of this war. enjoy doing within the guild. How have you helped your previous guild(s), if you have previous experience? I'd consider myself a leader, not to be too arrogant of course and I have some tactical skills from the army organization I'm in. I am a historian of course, history has always been easy to me. I consider myself little charismatic and of course I love RP. RP shows that game can be much more than grinding and killing. I also consider myself easy-going and humorous, but sometime maybe little too nervous. As I don't have previous guild experience much, I can't say how I have helped beside RP-ing in Army of Light. 12. How do you define a quality member? Quality member is one who helps others, has patience to deal with problems, has time to participate in events and has time to chat in the forums. I also highly respect humorous people, they always keep morale up, even in the worst. I also respect loyalty. Activity isn't much of a issue to me , I have always believed that real life will come first. I don't like people who just get into guilds to just get power. Like the Enlightenment era writers, who believed that head of state is the servant of people, not the other way around. Power must be used to make good, not like the Sith. That's the overall view. 13. How did you find the Army of Light? Did someone recruit you? If so, please let us know who. I pretty much found it myself and after long consideration I found it to be the best guild for me and of course, I was a part time member once, back in the old forums. Yes, I have. I visited chat yesterday and just to make sure, I again the read the guidelines and policies of the guild. Yes, of course. Without saying. Respect - Showing respect, maturity and understanding even in the face of hostility and disrespect. Honor - Always doing the right thing, even if it leads to a darker/tougher path. Loyalty - Never abandon the Jedi Order and your friends. Always help someone in need. Maturity - Always acting civil, no matter what others say. had this experience, tell us what you would do if faced with that situation? Living in rural are, I'm always helping others, it's the nature of the life. I'm not going to make a list, it would be weird.. I have always helped people in need and I will keep doing so. mission objective. Attacking the camp could alert the guards at the relay. However, attacking the relay without first dealing with the camp could mean enemy reinforcements from the camp. What do you do? I'd say I take them both down at the same time. As I am Jedi Guardian, I believe I can take the Sith camp down by myself. First, I'd sent 3 others to take the relay down. When they have the objective in side, they'll send message. At that point I'll order the attack and take the both targets down. Every kill counts and makes life little better in the galaxy. I consider myself easy-going and humorous. I have fair share of logical thinking, as my father says. Sometimes I might get little angry, but that runs in the family. I am quite stubborn in some ways and I believe in my own ideals and defend them hard if I have to, like the Jedi. I like to think of myself as modern knight, who can only fight against great odds, because chivalry is nothing but gone. I like to teach others and I usually accept other people's point of views, even if I do not like them. I like electronic music like techno, house, trance. I like to drink beer sometimes and I like to go out with my friends. I am hardworking at home and I lobe Lord of the Rings. I like reading books and playing video games. -Character Physical/Mental Features: About 190cm, strongly built, stubborn, brave and intelligent. -Character Biography: Born in the Outer Rim somewhere, Raunos was early taken to Tython by unknown Jedi master for training. Raunos deeply hates Sith and is somewhat disillusioned of the Republic's decision to make peace. He believes that Sith must be purged from the galaxy and destroyed. Raunos loves lightsaber combat and history of the Jedi and Republic. He is also adept explorer and has shown great interest in far reaching planets of the Outer Rim, which are under constant threat from Sith. CommanderRuunu and I have applied. Your Application is now Under Review by the Recruitment Council. You will receive a reply shortly, typically within 48 - 72 hours. 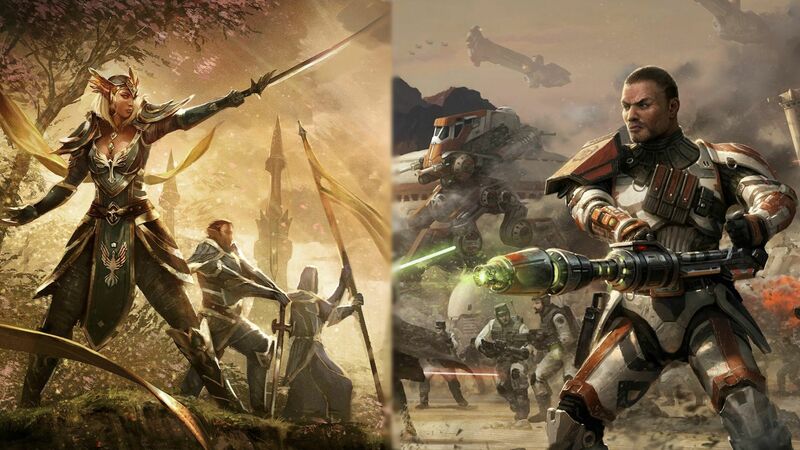 Is it just me or do we get a lot of people who use pictures of Revan knocking at our door? I think Revan pictures are awesome! Good luck my man. Though I like Revan very much, I do not consider myself as one of them fanboys. Just a picture, maybe temporary one until I have thought of something better. With that successfully completed, you will report to the Jedi branch leader (General Shoja Fodun) for general class branch training and to Generals Durron or Vyynn Randos for Squadron/Platoon assignment. Squadrons will act as your home within your home and help acclimate you to guild life and try to answer any questions you may have. Congratulations Raunos, good luck on your trial. Welcome to the AL Raunos. Congratulations Raunos! Let me know if you need any help getting settled in! Congratulations. Welcome to the guild. Now to make me a full time member . What should I do next, to whom to should I turn regarding the ending of my Initiate time? Take an interview with the Grand Master after he comes back from his absence. Interviews may also be done with Caliber Mispir. So you can have an interveiw with any Mispir?